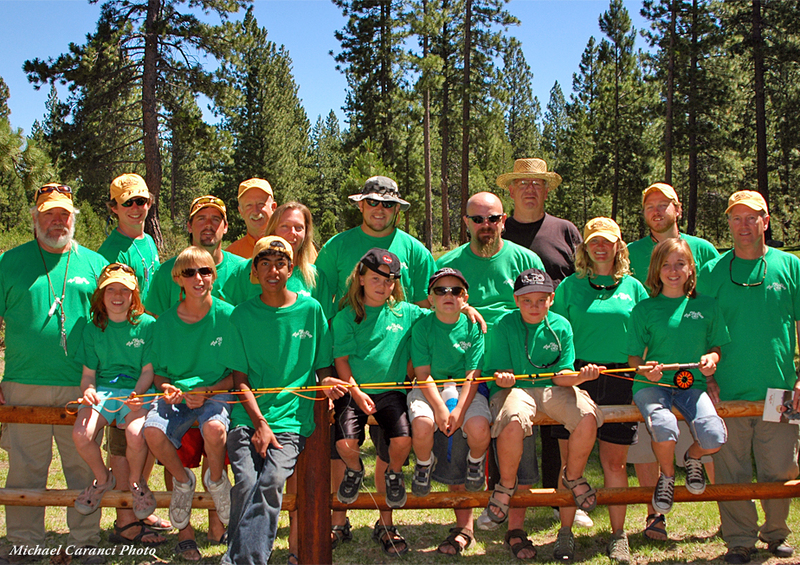 Family FishCamp™ is a perfect family destination! 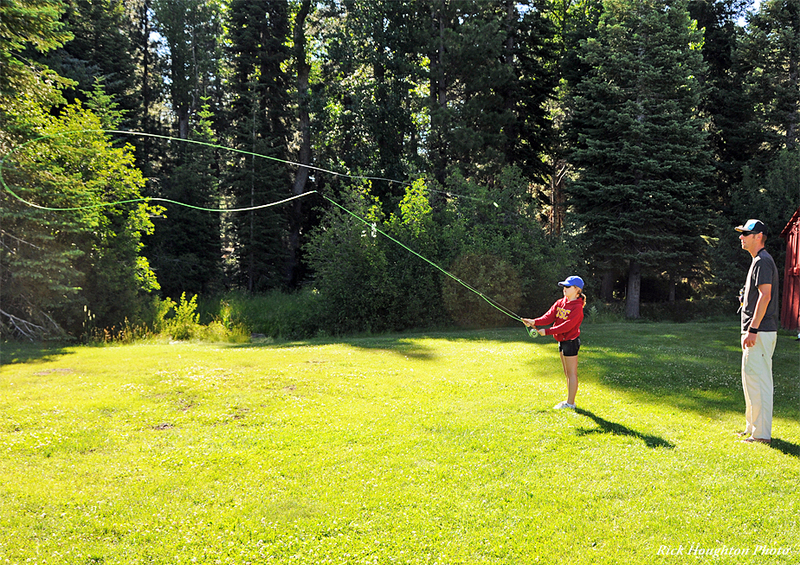 You and your family can spend four nights and five days together fishing, tying flies, sharing stories by the campfire, and having fun at the beautiful Antelope Creek Ranch. Families that want to share a wonderful learning experience are encouraged to attend. 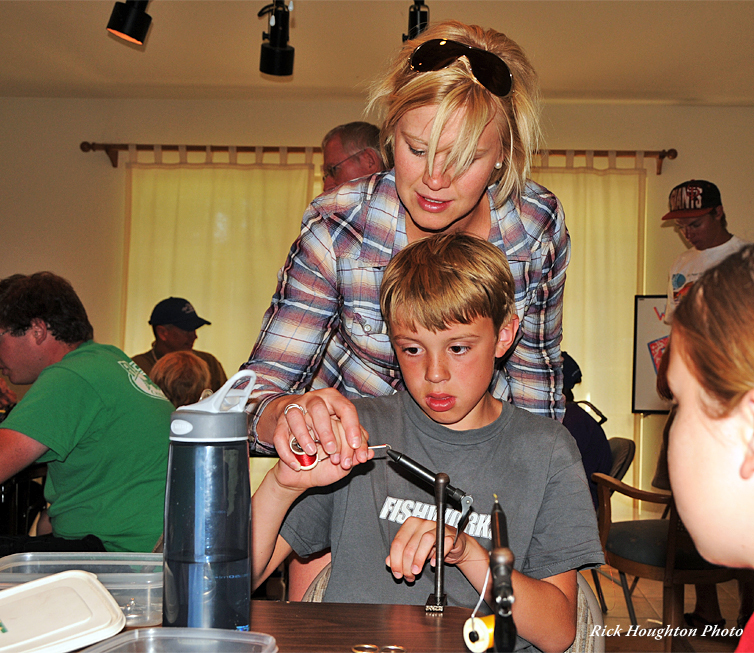 You and your family can spend your days attending exciting clinics about fly casting, fly tying, entomology, and the wonders of the great outdoors. 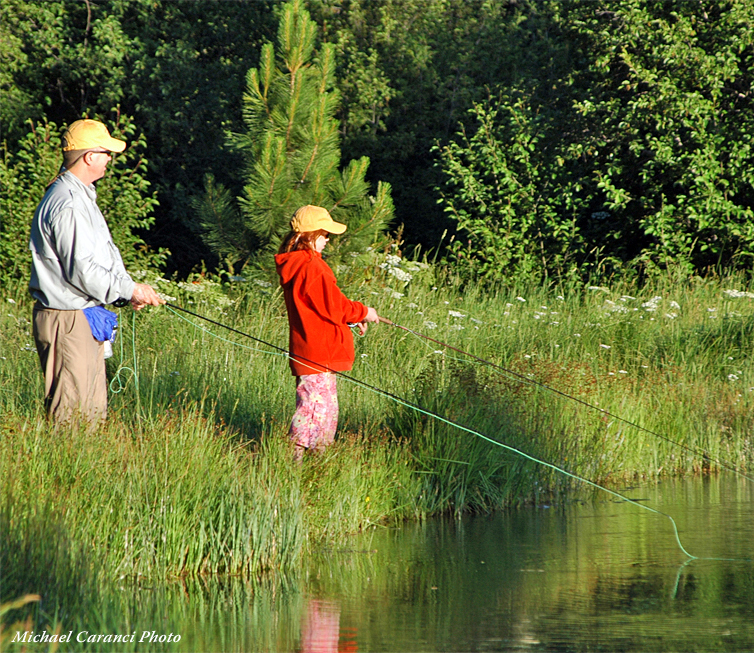 Spend your time fishing one of the two lakes, catch and release beautiful wild trout in Antelope Creek, or take a relaxing nap in the shade. We also include a wide variety of games to keep everyone involved. 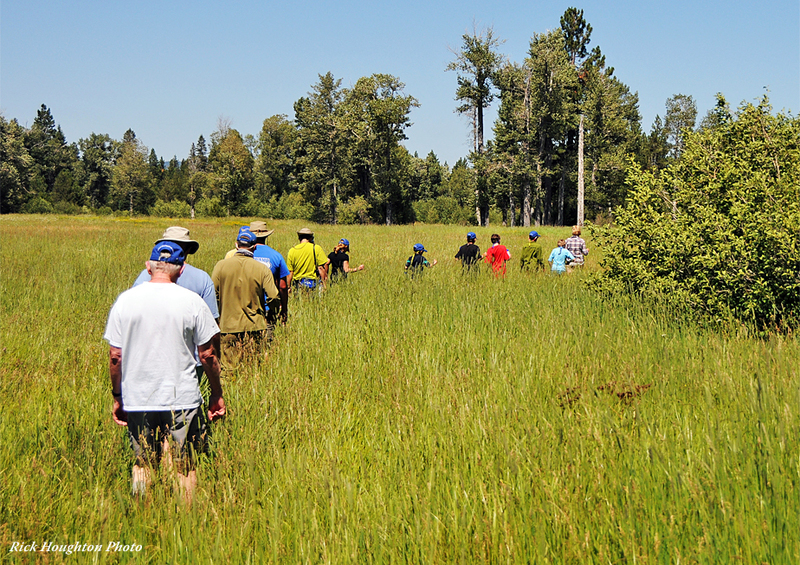 Other activities include hay rides, outdoor photography, compass reading, local hiking, and crafts. 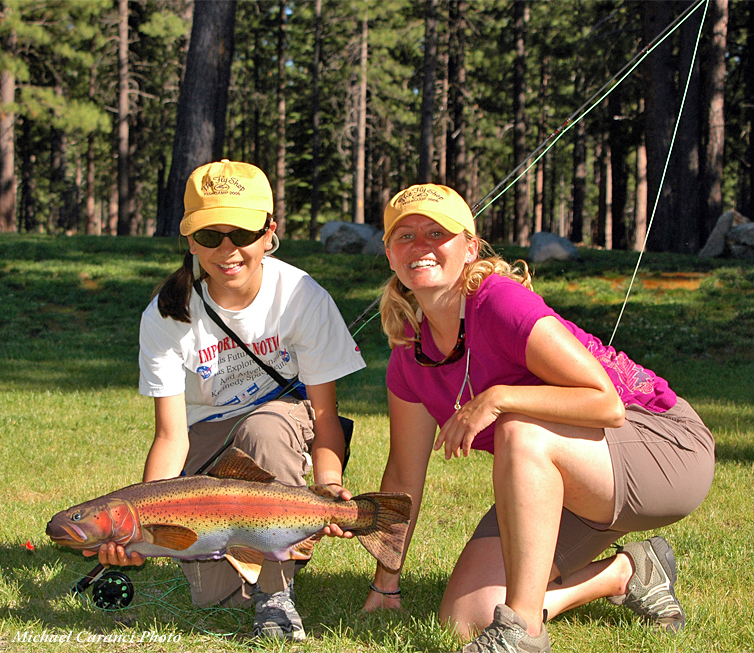 FishCamp™, a destination: FishCamp™ is located in the shadows of Mount Shasta near the town of Weed, California, at our very own Antelope Creek Ranch. 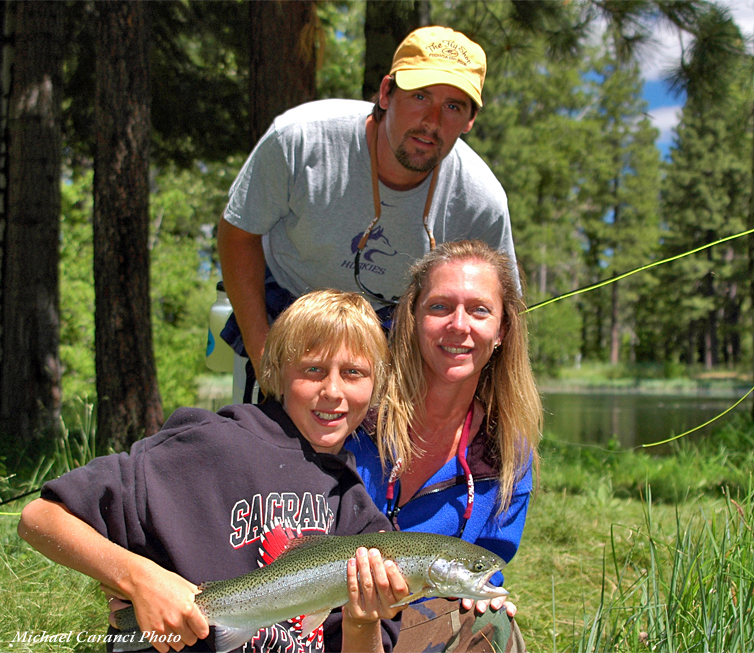 The historic 440 acre ranch is only a one hour forty minute drive from The Fly Shop in Redding, and surround by tens of thousands of acres of pristine Klamath National Forest. 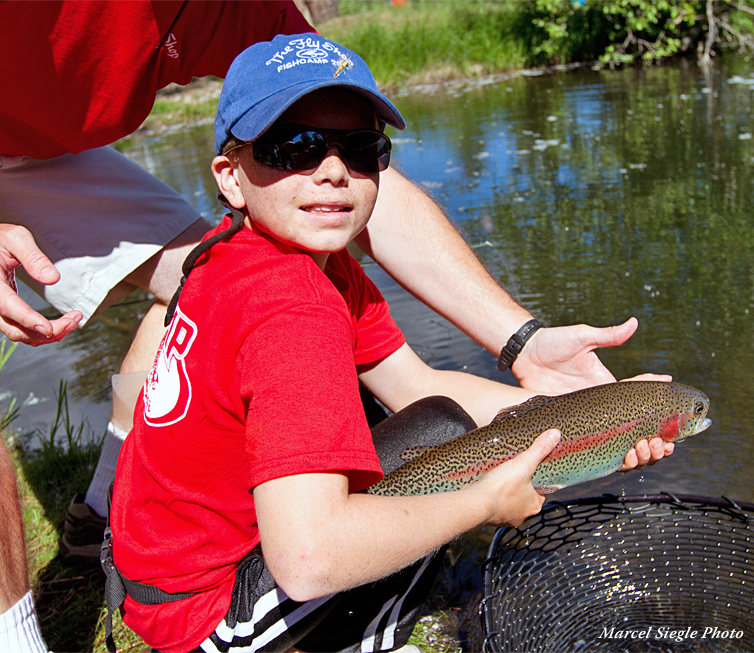 Antelope Creek is a privately leased ranch with both a stream and two lakes teeming with fish. The ranch is set at 5,000 ft elevation, so even in the heat of midsummer the days remain comfortable and the nights are always cool. 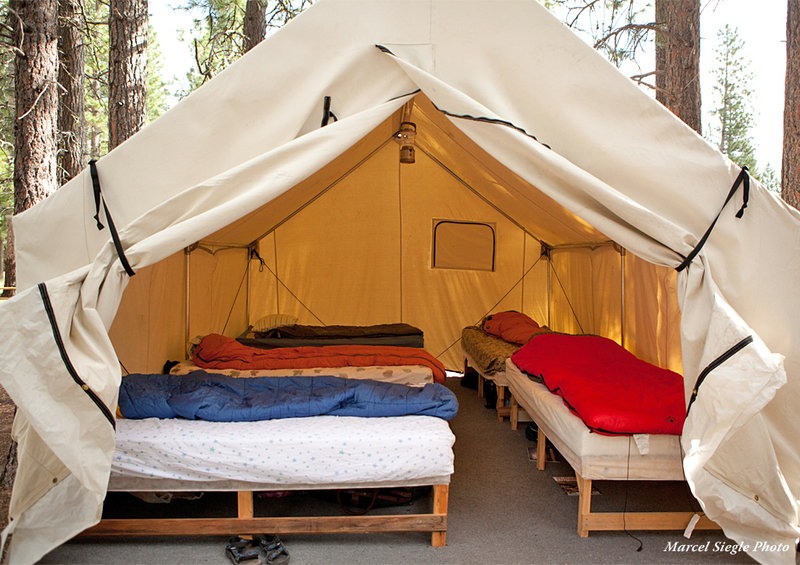 Campers are housed in state of the art walled tents where they rest their heads on comfortable bunks. There are bathroom and shower facilities – separate for boys and girls – and a shaded outdoor grill and eating area. 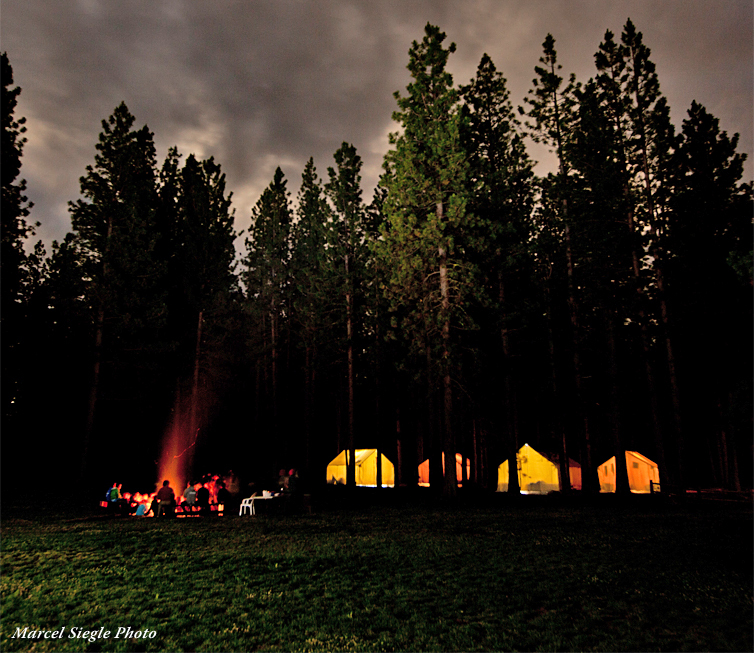 Families stay in our state-of-the-art walled tents on comfortable bunks, with the whispers of the wind amidst the pines lulling them to sleep at night. Healthy, well-rounded meals will be prepared and served to you and your family in our outdoor kitchen by our professional camp cooks. We also have a great bathhouse, composed of two separate bathrooms complete with flush toilets and plenty of hot water for showers. Included in your camper’s stay are all accommodations and meals, as well as the use of the finest fishing tools available (from Rio, Scientific Anglers, Sage, Simms, Galvan, Ross Reels, Scott, Echo, Loon Outdoors, Solitude, Montana Fly Company, Umpqua Feather Merchants, FishPond, Angler’s Book Supply, Sierra Stream and Mountain, and The Fly Shop®). 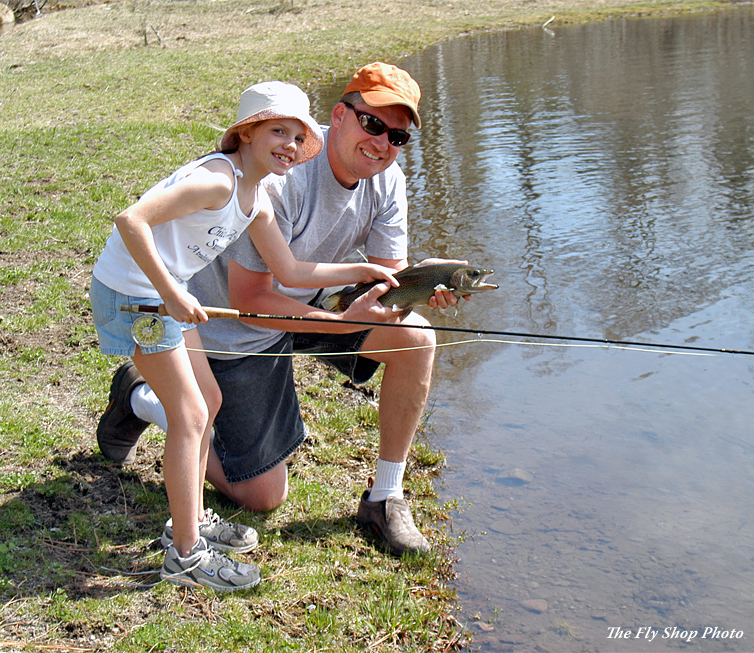 Every fly, leader, tippet, rod, reel and drop of fly floatant is included in the package, as well as The Fly Shop's® FishCamp™ Notebook, souvenir cap and T-Shirt. 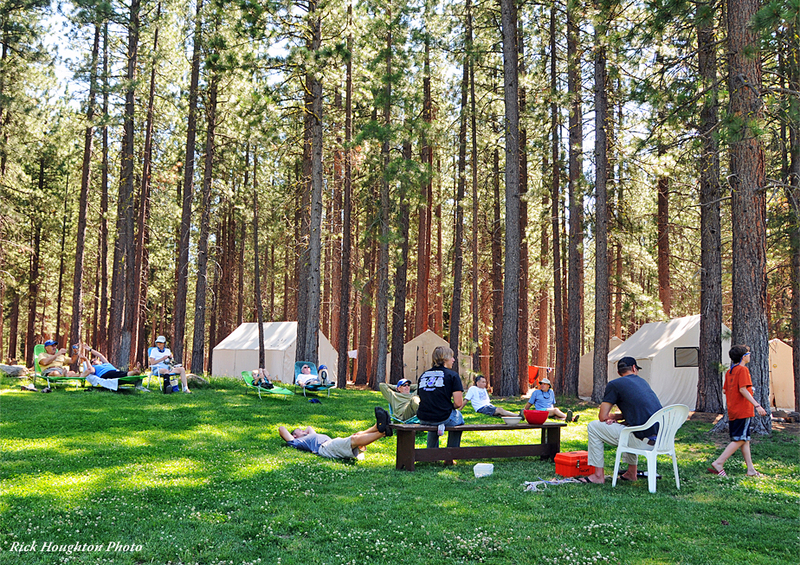 Families stay in our state-of-the-art walled tents on comfortable bunks, with the whispers of the wind amidst the pines lulling them to sleep at night. 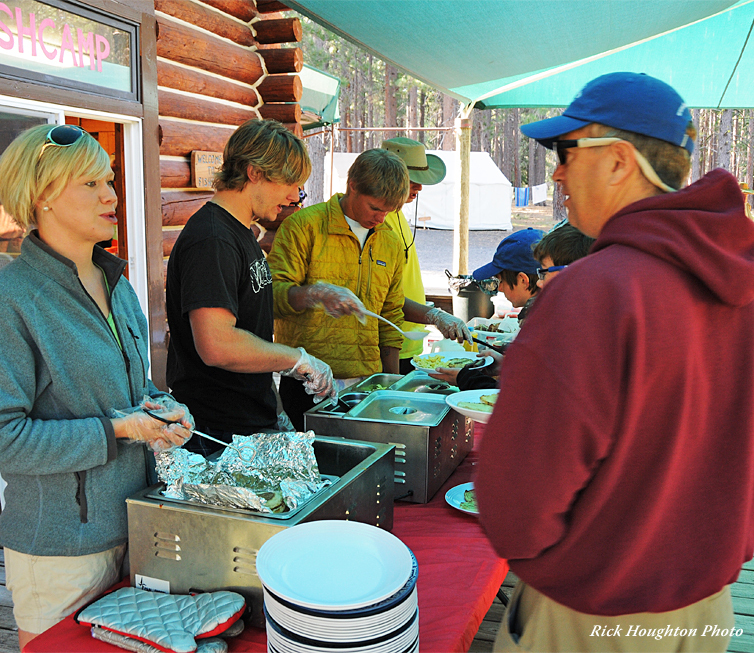 Healthy, well-rounded meals will be prepared and served in our outdoor kitchen by our professional camp cooks. We also have a great bathhouse, composed of two separate bathrooms complete with flush toilets and plenty of hot water for showers.